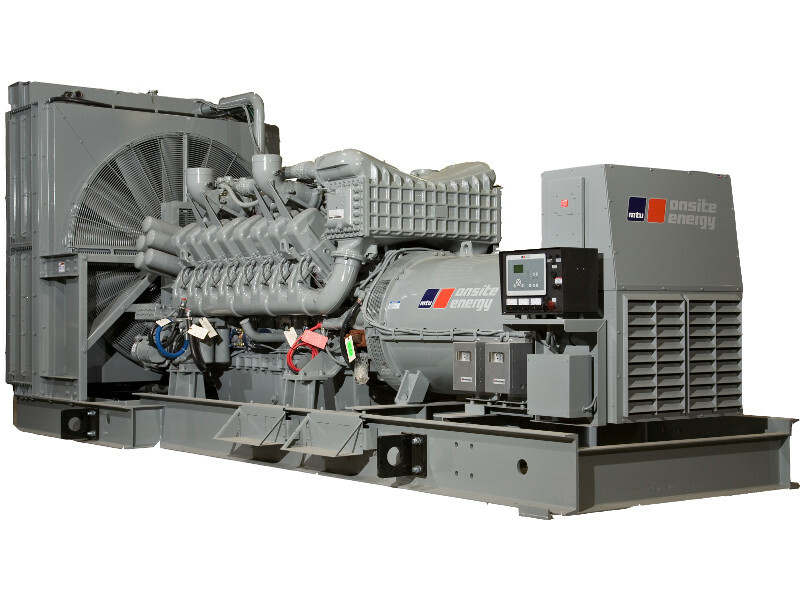 Rated Load (NFPA 110) - MTU Onsite Energy certifies that all engine-generator set models will produce the name-plated load within the design tolerance of the generator set. Extended-run Testing - MTU Onsite Energy certifies that all engine-generator set prototypes have been subjected to extended run-time testing. Transient Response Analysis (ISO 8528-5) - MTU Onsite Energy certifies that all new generator set models have undergone transient response analysis per ISO 8528-5. Torsional Analysis - MTU Onsite Energy certifies that all engine-generator-set models have undergone torsional stress analysis. Engine Cooling System - MTU Onsite Energy certifies that all generator set models will cool sufficiently within the ambient design conditions per each model. Anticipatory Alarms and Shutdowns - MTU Onsite Energy certifies that the pre-alarms and alarms function appropriately to protect the engine-generator set from any foreseen unnecessary failures. Vibrational Analysis (ISO 8528-9) - MTU Onsite Energy certifies that all new engine-generator-set models have undergone vibration analysis to ensure that each engine-generator coupling is balanced and that there is no destructive resonant vibration. Noise Analysis (ISO 8528-10) - MTU Onsite Energy certifies that all engine-generator sets undergo airborne noise analysis using the enveloping surface method. MAX Load @ 0.8 P.F. In some cases, extended-run testing may be requested. Unless specified otherwise, extended-run testing will be performed in the following manner. Witnessed factory tests must be scheduled and approved at least four weeks prior to the engine-generator set’s scheduled shipping date. Any requests for witnessed factory testing after this four-week period must be approved and are subject to additional fees. Witnessed extended-run tests must be scheduled and approved at least four weeks prior to the engine-generator set’s scheduled ship date. Any requests for witnessed extended-run testing after this four-week period must be approved and are subject to additional fees. Additional testing is available upon request. The following is a list of supplementary tests which can be performed on MTU Onsite Energy engine-generator sets. Non-standard testing is subject to additional charges.